Home»Just Hungry 5th Anniversary / Just Bento 1st Anniversary Giveaway! Just Hungry 5th Anniversary / Just Bento 1st Anniversary Giveaway! Back when I started, I was pretty much clueless about food blogging (even though I've been blogging off and on since the late '90s). My early writing is not so good, and most of my early photos stink - or if they turned out good it was purely accidental. Nevertheless, all the content is still here, warts and all. Just Hungry (which started its life with the more cumbersome name of I Was Just Really Very Hungry) has changed quite a bit since the early years, and I like to think my writing and photography has improved some - but in the end, it's always been about the food I love. So in essence, what I wrote back in my first post is still what this site is all about. And thankfully, it seems to agree with quite a lot of readers who have encouraged me over the years. Also, and this is even more of an oversight, Just Hungry's little sister Just Bento had its first birthday in October. Just Bento has been a lot more precocious than Just Hungry, and has grown in leaps and bounds, due in large part to the growth in popularity of bento meals all over the world. To show my thanks to you, kind reader, I am giving away some goodies. This giveaway is open to everyone, regardless of where you live, as long as you can receive mail! To make it interesting :) I'm going to announce 1 prize per day for the rest of the week, on both Just Hungry and Just Bento. That's ten giveways! All you have to do to have a chance at getting one of these is to leave a comment under the giveaway listing you're interested in. Your email address - put this in the Email box so that spambots can't see it. The email is necessary so I can contact you if you win! You can enter/comment for all giveaways if you want, but one comment per please! Your comment must be posted before the stated deadline. Note: None of the following items is a review copy, advertising freebie, etc. They are all items that I have duplicates or similar of myself and have used and loved! Delivery: I'll airmail you the item if you win ASAP, but I cannot guarantee you'll get in time for Christmas. So here we go: the first item for Just Hungry! Nigella Lawson remains to be one of my favorite cookbook authors for everyday food. Nigella Express, which came out last year, is full of great ideas for quick yet great tasting meals. You'll get a U.S. edition if you're in North America, and a U.K. edition with metric measurements if you're in the rest of the world. Retail value is around $25. DEADLINE: Your comment/entry must be posted before Midnight Greenwich Mean Time on Thursday, December 4th. This giveaway is now closed. Thank you for your comments! The winner will be announced mid-next week. You can still bid for the other giveaways - check out the front page! Submitted by maki on 2008-12-01 10:50. I really enjoy both your sites. I got into a cooking rut last year and started eating junk since I was so bored with my own food. You helped me snap out of endless nimono and carrot sticks! I started out reading Just Bento, but now I read both sites regularly. I enjoy the recipes and the photographs. Country, US. It's nice to be able to say that without feeling slightly ashamed. Happy 5th Anniversary! Your sites continue to be an inspiration for me, and I wish you all the best for many years to come. Happy birthday to both your sites! I am a new reader from the United States. Your Bento site has inspired me to ask for my first bento-inspired lunch gear for Christmas! I can't wait to get started. I've been reading for a while, but never commented, mainly because all I would've done is add to the million of "oooh, love this!" things. Tried many things, starting with the neba-neba don (without ikura, but with all the rest); keep coming back for more. THANK YOU for sharing the recipes. I'm in Japan atm, so I can get most of the ingredients, but I'm usually Germany-based, so it's perfect that you have information about things we can get our hands on in Switzerland or Germany that can be substituted for Japanese food items. THANK YOU. It's also all your fault that I'll be buying myself a kitchen application for Christmas (well, two; rice cooker + transformer (though the trafo might have to wait until I fly back)). I started reading your blog when I was living in the US and getting ready to move to Switzerland and enjoy reading it now as a Zürich neighbor. We make the roasted vegetable medley almost every week and I look forward to trying more recipes in the New Year. I've only been a reader for the past year or so but I've thoroughly enjoyed your blog. I started reading your blog when I lived in the US and was getting ready to move to Switzerland. Now I live in Zürich and I read it for inspiration to cook. Thanks for all of the great ideas! Love the blog! Found it through my love of bentos and then picked up your other site from there. Now they are staples in my daily blog feeding!! I particularly love the bento advice from someone who knows but in English. Such a valuable resource. Long may it all continue!! Happy Birthday Just Hungry and Just Bento! It's because of your two sites I've started being brave enough to cook a few Japanese foods. Thank you! <3 love you Just Bento! I love this site. I never learned to cook and now that I live so far away from my Japanese mom, I get all nostalgiac and try your recipes. Congrats Maki! I discovered this site some time ago when i was living in the US and craving Japanese food, and now that i'm back home in Singapore with more available asian raw materials for cooking the recipes have been even more fun. I love the flavour you impart with your writing, and hope to see the recipes keep coming! =) Thanks! Congrats on your birthday/anniversary! Thank you for all the cooking tips. I dont use them all, but it motivated me to stop eating out so much and start cooking. Happy anniversary! I have enjoyed following your blog for a while now, not quite 5 years though. I am a fan of your other blog too, but have not tried any bento out yet. I love both your blogs, and I use them often as a resource to learn about Japanese cuisine. Cheers! Happy anniversary! I have enjoyed following your blog for a while now, not quite 5 years though. I am a fan of your other blog too. I'm a college student, and I love browsing this site for healthy, yet delicious meal ideas. Congratulations on the milestones for Just Hungry and Just Bento! Happy anniversary! I have enjoyed following your blogs for a while now. Looking forward to more fun stuff! This all seems the wrong way round, as an enthusiastic (one might even call it addicted) reader I feel it should be me thanking you!! I often cook recipes from both JB and JH. Reading your blogs has shown me how diverse japanese food can be and has helped me not to be so intimidated by the japanese cuisine. So I truly thank YOU! What great timing, Nigella Lawson was talking about affordable holiday entertaining on NPR(national public radio) this morning on my way in to work. You know, you should really force the metric version on everyone though. We here in the states need all the help we can get convincing people to switch over to the metric system. Thanks for having such a wonderful site! I've really enjoyed it. Thanks for putting these giveaways together! Happy anniversary! I started reading your blog about 6 months ago and it has given me tons of good ideas. I LOVE your recipes for new potatoes, I have been making these a lot. I'm from Iowa and have recently started reading. I love Nigella and would love to win the book! Congrats on your 5th Birthday! I love, love, LOVE Nigella! Ah, but have you tried buying things to measure metric quantities, Eric? Madness! Happy Birthday! I'm grateful for your teaching us techniques and recipes. I totally forgot to enter my location - sorry! Hi Maki! I'm from the US and just wanted to say thanks for sharing all the great info that you do both here and on Just Bento. I don't know how you manage to keep everything up, but I'm glad you do! Christmas 1962, my first in California after moving from Pennsylvania by myself in November, I was invited by a Japanese-American fellow employee to share dinner with her family. It was to be a traditional American dinner with turkey and a slew of relatives -- and me. Moreover, it was followed by an invitation to their New Year's Day dinner, but this time with all Japanese food -- if I were brave enough to want to try it. I did. Their kindness so long ago is cherished to this day. Though we've all moved away since then, thank you to the extended family of Mr. and Mrs.Kamaichi Ikeda of Mountain View, Calif. for all the wonderful times they shared with me. Is it any wonder that I enjoy Japanese style food from time to time, lots of stir-fries, and have my own bento box? And, of course, your website, Maki, with all its intriguing recipes. Thank you all. Five years is a terrific accomplishment! Congratulations. I've only recently discovered your blog and love your Japanese recipes! I lived in Japan for two years and would love to return...someday. I live in the US now. Please include me in your giveaway drawing. I live in the United States. Just Hungry/Bento is one of two blogs that has helped my whole family eat healthier and get in better shape, and you taught me how to make awesome sushi myself, which is gold. Here's to another five! Happy Birthday to both wonderful blogs! I, too, started reading Just Bento then added Just Hungry and I love them both. I've been reading your two great blogs for one year now, and love them! Nice to know there are other out "there" who also enjoy Bentos as much as I. Keep up the great work. I stumbled upon JB a while ago, and was thrilled; I've always enjoyed cooking, but have been at a loss with most Asian (esp. Japanese) cooking. So your clear explanations and easy recipes have been a delight! Thanks, and congratulations on your 5 years! Thank you so much for your fantastic blog. I've been reading both JustBento and JustHungry for the past few months, and our family meals (and my bento lunches) have been well improved because of it. My favorite staple has been the simple recipe for Miso Chicken! Please enter me for this giveaway. I live in the United States. Thank you! happy anniversary! i've been really enjoying all your recipes. i'm in the us - thanks for the opportunity. Congrats on the anniversary! I love reading both of your blogs! Love both your sites... Thanks and congratulations! I don't see my post, so I'll post again. Thanks for sharing tips and ideas with your readers, and Happy Anniversary! Congratulations! :D wow, 5 years is a long time and you've shared so many great things, it is quite appreciated. I'm an american girl in Paris (France, of course). I found your site while researching how to make my own sauerkraut, since all I ever seem to find here is already heavy with "garnie" (meaning too much fat to my liking). From there, I got hooked on your recipe for japanese pickles (although I continue with the lacto-fermentation process a lot longer--for about one week at the least...the nappa cabbage recipe ends up more like a kimchi). Anyhow, your writings on certain subjects have been a sort of awakening and "coming together" of all sorts of thoughts and interests that I've had. And for that, I'd just like to say, thank you. "Et maintenant, je suis accro pour Just Hungry!" I used to really dislike Nigella but she has really grown on me. I love how she pigs out on the leftovers at the end of each episode - totally something I would do! Bored with work, I googled for good food ideas and up popped your site. I have been trailing your site for a while, but have not commented cause no words comes to mind and I just sit there at my desk and drool...slurp I meant cough...so yeah. CONGRATULATION ON 5 YEARS WORTH OF DEDICATION! Cool! Very generous of you too! I wonder how long your "Just Words" blog has been going on? I can't remember how I found your blog, but it was definitely in the early days of the blog, when I was still living in Nara (I returned to the US about 3.5years ago), and very very confused by the various ingredients in my local store. Now that I'm not in Japan, I'm not as strict with myself about only cooking Japanese food, and my cooking style is more of a fusion of east asian/south asian (my heritage)/middle eastern (the inlaws' heritage) cooking, but Just Hungry/Just Bento is still my go-to site for inspiration. Happy Anniversary! I love reading Just Hungry, it's provided many interesting ideas for cooking my girlfriend's meals. Congratulations, and Happy 5th website Birthday! Here's to wishing you many more years of fabulous blogging! I have to agree with some of the above comments, though, that although I'm in the U.S. it's silly not to cook using metric measurements. But maybe I'm just biased because all of my measurements through work are metric. I heart Nigella too! I think she is so down to earth and an awesome cook! I am located in the Bay Area in Northern California, so I would love the USA edition!! I love your blog and follow it weekly...! you know, 5 years seems like such a long time ago, doesn't it? And yet I find your blog so refreshing, entertaining and always informative. Thank you for putting so much time and effort into your content. It makes reading both of your blogs so much fun! I've meant to tell you for the longest time that you should really write a cookbook with Japanese food for children. Not adapted for children, just adapted for European super markets . seriously, both my 3 year old and 1 year old love your spring fried rice, your japanese curry and so much more! 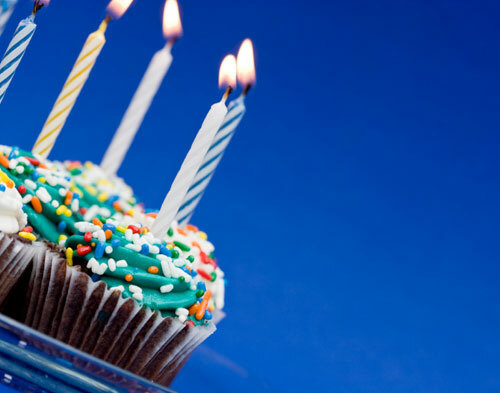 Congrats on your anniversary- you have 2 great blogs! Congratulations on 5 years! That's amazing. Keep up the good work. ...and thanks for the giveaway! Happy Birthday! I've been enjoying your blog for awhile now, and can't wait to see what you've got in store for the future. Happy 5 years! -- Alison in the US. Fast & Easy? That's what I need around here! Thanks for offering this give away! Congratulations on your blogiversary! A thousand thanks for so many wonderful tips and recipes. Thank you so much for the ideas. I have been inspired many times, and look forward to many more wonderful recipes/ideas/random musings. Thanks for your recipes !! Thanks for the lovely photographs and easy, healthy, recipes. You've made it a lot easier on my journey to eat better, and more sustainably. I figured I'd try my luck! Congrats! I started following Just Hungry 3 years ago, so can't believe how fast time has passed by. A heartfelt congratulations. I love your style and how your love of food comes through in every post. Thank you for sharing all your recipes and introducing a kitchen noob to the wonders of Japanese cooking. Happy anniversary! Love your blog. As an artist living on a tight budget here in Canada, your blogs have helped me to save money and eat very well! Michael, from New York, USA! I love your site...and was so excited to learn how to make kinpira, my favorite dish from my favorite restaurant! Happy birthday! I love reading your blogs. I love reading your blogs. Happy Anniversary! Happy Fifth Anniversary. I love your recipes. i've been a lurker for almost a year but must post now for the giveaways. :P i bring my bento everyday to work and i get my ideas at just bento. my faves are the kinpira, gyuudon, and sesame flavored beef. Thank you for the contest. I hope I win. Both of your sites are wonder!! I love the recipes you leave and not only congratulate you on the job well done, but anticipate all the recipes to come!! Thanks for giving me and my husband great ideas to better our diet! Also for giving me great ideas to start out making bentos for me! And last but certainly not least CONGRATS for being around 5 years (Just Hungry) and 1 year (Just Bento)! Congratulations on five years with Just Hungry and on Just Bento's incredible first year!! It's incredibly generous of you to give things away like this!! Thank you so much!! How exciting! Congrats on reaching the 5 year mark. I've been reading Fat Free Vegan from Portland, Oregon for about 6 months now. Damn... I thought I will be the first one to say that I am from Singapore but somebody has beat me to it. Stumbled upon this blog few months back when I was trying to search for a grilled mushroom recipe (Japanese style). I have been hooked since then mainly because I love the Japanese cuisine. I remember I was so thrilled I had to tell my hubby immediately about this blog that has tons and tons of Japanese recipes. I cook more Japanese than Chinese over the weekends because I figured that my kids had enough Chinese on weekdays at that grandmother's place. Second reason why I keep coming back is because the recipes are easy to follow. I'm relatively new to cooking and have 2 toddlers in tow (literally) so I need simple and quick recipes. I tend to ignore recipes that has a long list of ingredients and steps because I know I will never attempt it until years later. I hope I won't sound too thick skin if I tell you I want this giveaway =p The words "express", "good" and "fast" are exactly what this working mummy look for in recipes!! Great recipes and tutorials! Pretty much everything I've tried - and not slaughtered with severe experimentation on my part - has come out delicious. I really love the background info given for everything too, since many of these recipes aren't very common around these here parts (that being Canada). Here's hoping for many more years of your blog! Here's hoping for many more years of Just Hungry! Thank you for sharing your food adventures with this reader from the United States! Your pictures inspire me and make me hungry!!! I'm kuzatab and I'm in the US. Happy blogiverrsary that's very exciting. I'd love to win the book. I was introduced via Just Bento, but five years is pretty amazing in the blog world. Way to go! I discovered Just Hungry after a marathon reading of Just Bento about a year ago; reading both has become a daily habit. Thanks for all your work! Love both of your sites - Thanks! Happy Anniversary! Thanks for two fantastic blogs! I loved your site since I found it. The cooking tips, ingredient guides, and recipes are amazing! I check your clog almost every day. It's one of my faves. Thanks for all your hard work over the years! However does Nigella manage to look beautiful at all times? I love your blog(s)--it's so inspiring, healthy, and VERY informative. I have learned a lot! My most updated topic on my Twitter is about food or the desire of food. I am brand new to bento, but am completely addicted. I have to say much of my addiction is thanks to you. I love the information on both of your sites. I have subsribed to the RSS Feeds so that I don't miss a single post. Congratulations on your success and thanks for sharing your talent with us. thanks for running two great sites. i love them both. Omedetoo gozaimasu!! Excellent websites; I have told so many friends about them. You are an inspiration to us all. Thank you very much! I haven't watched Nigella in ages, but this book sounds great! Congratulations! I've been reading Just Hungry and Just Bento for a year now. Keep up the great job! I live in the US. What a sweet idea for the giving season! My name is Gina or Tampa, FL, USA. If I win, I'll send you something back as a thank you! thank you for running a great site & the giveaway. u.s.
tried your vinegary chicken wings yesterday -- a winner! i came here a while ago on the search for fried tofu recipies and read posts every now and then since. thanks! currently living in the u.s. I've so enjoyed reading both Just Hungry and Just Bento, except they make me....hungry! And craving Japanese food. Here's to 5 more years! I live in Sydney, Australia, quite a ways from your location, but the best thing about food these days is that you can almost get whatever you need in any country to cook your favourites. I'm Aimee and I'm in California, United States! Happy Anniversary and thanks for the great site all these years! Happy Birthday, Just Hungry. You cover a subject dear to my heart, my tummy. I just made some hamba-gus! I"ve only just recently discovered your wonderful blog! I have been living in Japan for four months and while trying to decipher what I find in the grocery store, want to try to make, etc., I have come to this site time and again. Although I speak and read Japanese, I still need help with details of how to use different ingredients, recipes, etc. Thanks so much for your help. Hi, Congrats on making it five years! I started following almost a year ago but this is perhaps the first time I have commented I think. Your site has been great for when my fiance is wanting Japanese food!!!! I love your bento site also, especially as I used to be a kindy teacher in Japan and I could name the kids foods in Japanese because I had read your blog. I am Catharina from Belgium and I love both sites... Keep up the good work! Happy 5-years and many more to come ! From Just Hungry to Just Bento, your sites are a daily must reads for me - totally inspirational and motivational ! My gang have benefitted plenty from the ideas I've glean from your sites. Keep up the good work and Happy Anniversay.. all the way from Shanghai, China..
Hiya, I'm in the UK, I have really enjoyed your blog, I hope you have loads more anniversaries to come. Your blogs have been a regular feature of my lunch break since... well, quite a long time. I adore your quinoa salad, by the way - it's absolutely delish! And the carrot kinpira... and pretty much every vegetarian or vegan bento dish you made looks soooo good, I'm gonna test it one day. Congratulations on 5 wonderful years of great tasting service! Wow, 5th anniversary ?! Congrats ! I love your blogs, your great japanese cooking tips. I adore your websites! Friday nights dinner was Japanese rice, and three other recipes from you. Recently added both your sites to my Google Reader after making a quick search on bento recipes on the net. I enjoy both blogs very much. Thanks for writing them! Congratulations! 5/1 years for Just Hungry/Just Bento respectively. Your blogs have been wonderfully inspirational in my cooking - so many recipes, new products, pre-planned healthful and quick lunches. I hope to keep reading your blogs for years to come! I'm a lurker, but I love your blogs. They're both fantastic! Happy Birthday! Congratulations on five great years! I'd love to try some quick and delicious recipes :) Thanks for the giveaway! Your recipes have lifted the veil on the cuisine I love to make, but had such a hard time finding good recipes for! Congrats to your 5th year! You must be proud. I agree with Eric, enforce the metric system! I am from the US. Also, I adore your blogs. I love both your sites and read them whenever there is a new posting. Thanks for all your recipes! I've just stumbled on both your blogs JustHungry and JustBento and I really love reading them to pick up ideas on what to prepare for meals! Congratulations! But 35 in dog years? That so random. ^ ^ Wonderful. Congrats on a successful year! I just found the site, and love it. Reading the carrot story makes me want to make those for my daughter. D'oh! Forgot: I'm in the USA. ...is an inspiration! I've barely managed to keep a simple personal blog going for more than a year. :) Here's to the next five! I'm Dave from the United States of America, and thanks for always posting great content for me to read on the slow days when I'm at work. I found your site through Just Bento this year. I Love your sites and congrats on the birthday(s)!! This is such a fun site to visit. I enjoy your conversational-yet-informed blogging voice and the detail you provide, which clearly stems from sheer enjoyment (with a dash of seriousness). I have a friend who swears by Nigella - I'd love the opportunity to check out one of her books! Your sites are very inspiring. Thanks for making bento and Japanese food much easier for the rest of us. This is my first time comment, even though I've been lurking for a few months now. I found your blogs while researching Japanese food and got intrigued by the art of bento-making. Your recipes and bento designs are always beautiful and inspiring :) So far I've only tried making the mini hamburgers and tea leaf muffins (yummy! ), but I hope that soon I'll get more organised and thus find more time to indulge in bento-making. So there, thank you very much for putting up such great sites! Congrats on the 5 years! I've only been reading for a few months but have really enjoyed it. Love your blog, I've been reading it for couple of years, and whenever I'm cooking something Japanese I always check to see how you do it. Please don't ever stop! Happy Anniversary-Birthday to Just Hungry and Just Bento! Wow! It's been around 5 years and I've only known about it for 1! ^_^ Still I Love all your tips and tricks, and recipes! Just Hungry has become quite a regular haunt for me when I'm stumped as to what to have for dinner! Thanks again! I hope I get something! Really glad to have found your blog at 5 years old! Over the past few years I've been cooking more... and looking to the net as a source of ideas before buying recipe books ruins me financially. I get down hearted by the fact most sites are very USA based. Currently reading your old posts, and you have pride of place in my feedburner. Yay! I've been to Japan; I adore your bento site ... I have a Zojirushi kit & one day will make use of it. I'm in the U.S.A., but not in the Lower 48. That means I'm located in ALASKA :-) Lotsa snow & cold up here right now. Congratulations on your anniversary! I also love Nigella Lawson and her recipes. I just found your list and love it! Happy anniversary! While I'd love the cookbook, the varied and simple recipes you have produced over the years have been infinitely valuable to me as a college student. Wanted to let you know I really enjoy both your sites. I've just started cooking my bento lunches and love the ideas here! Your site is great, keep up the good work! I always enjoy reading your articles and trying out recipes. Congrats on 5 Years! Nigella is one of fav celebrity chefs, love her style! Congrats on your anniversary!! Nigella is a great cook - I'd love to win the prize. :) Thank you! Darn - forgot my country. I discovered your blog by accident a while back when I was searching for a Japanese potato salad. I've been hooked ever since and have tried out several recipes, all of which worked out great! This site is amazing! Congrats! and keep up the good work! I have been hiding around in this blog for a while - marveling at all you make and write about! I live in Japan and you have helped me decipher many food things and encouraged me to cook more Japanese food. "Ah, but why am I commenting on the Nigella book?" you ask - hmm - express probably. The ideal me can cook a lovely meal, clean up during said cooking, serve the meal at the perfect temperature and only have the eating dishes to clean up - HA! Express sounds like a better concept for me...Although as an American living in Japan for 2 years I thankfully don't think I will ever be able to eat fast food or anything truly "Express". The flavors of Japan are fantastic and some of those simple, wonderful foods are quick and won't ruin your arteries or your diet! Thank you for both sites - I truly enjoy what you have done! I love your blogs, so many interesting recipes. Maki, a big omedetou on your 5/1 yr anniversaries! like some others have said, i feel like i should be thanking YOU for these labours of love. Congratulations for the anniversary of this site! Although i have only recently visited it, I really love to try out your new recipes. Japanese food is so delicious that I have learnt a lot through this site. Once again, thank you very much! Congratulations and as we say here in Greece Chronnia Polla!! Just want to say thanks for past help on egg molders (finally got them) and that besides reading this daily along with sooo many others I also follow you on twitter!!! I've been reading both of your sites for the past year now, and have enjoyed every post. I've learned so much and look forward to learning more - visiting your sites is a bright spot in my day! Keep up the good work and congratulations! I only recently (4 months or so) discovered the wonderful world of food blogs. I still don't know how I stumbled upon the first. It has been a truly rewarding experience. I don't get to read but a few, but yours is one I always look forward to in the morning. I had never heard of a bento, but generally try to bring a lunch of leftovers for me and my husband each day. We work in the same building so having lunch together is a great treat. The tasty recipes and transforming leftovers at work into a fun event is great. Thanks for all the hard work. You really wanted to bring out the lurkers, didn't you? :-) Love both of your websites. Happy Anniversary! What a great idea for a give away. I would love to make better looking bento's and not the plain lunches I currently make for my daughter. I have a different Nigella Lawson cookbook and I make the eggplant involtini when I have the time. The bitter orange ice cream is easy and delicious. You can mail this to me in the USA. Thanks for all your blogging! Another devoted reader who never comments. Congrats on the anniversary! Congratulations on your anniversary, and I look forward to the next five years! Yeah! 5 years. That is forever in the blogosphere. I love giveaways on birthdays. It's like a hobbit birthday! Congrats on five years of bloging! Happy Anniversary & thank you! I'm in California, USA. Thank you for your great blog. (And for giving away this Nigella book. I love her!). I'm Emi from California, and I've been reading Just Hungry for yearssssssss and Just Bento since it started! On your 5th Anniversary. I hope you continue to enjoy writing on your blogs since I enjoy reading your stuff a lot. I'm from Australia. I de-lurk here occasionally, but... giving things away is the best way to draw us out of the woodwork, right? :) Anyway, thanks for all your hard work maintaining these blogs Maki, they are really something special. Thanks for the opportunity - I love new cookbooks! I love both sites and find them both inspiring and delicious. Here's to hoping I might win! I LOVE Nigella Lawson, and I love your site! This works perfectly! New reader from the US... Definitely enjoy reading your blog! I've tried some of your recipes such as yaki onigiri, and they've become extremely popular among my friends. These are some great giveaways that you've been posting! Congratulations on the anniversary! I've enjoyed your blog. This was the first food blog I ever read. I still read it every day. Thanks for sharing your passion with us. Keep it up! Hi, I've been lurking around your blog for several months now! Love the Asian-European mix in content! :) And I love Nigella!! !